You will get access to new issues on a quarterly basis. 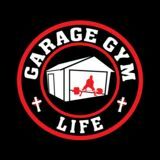 This one-time purchase will allow you to read 4 issues from Garage Gym Life Media on issuu.com. The issue - Home Gym Quarterly Spring 2019 will become available right away. You will get access to the remaining 3 issues as soon as they are made available by the publisher.